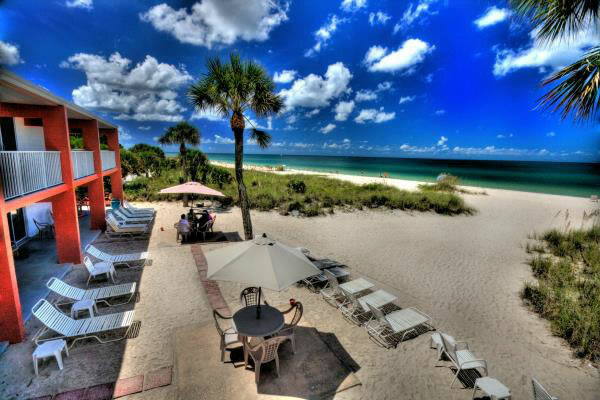 Island House beachfront resort is located on beautiful Casey Key, a 7 mile barrier island nestled between Sarasota and Venice Florida. Here you can enjoy a quaint, unspoiled tropical paradise, with its white sandy beaches. Spend your days lounging in the sun, strolling the beach for shells and sharks’ teeth, or visiting the many shops, galleries, and attractions that Venice and Sarasota have to offer. The end of the day brings picture perfect sunsets over the Gulf of Mexico. You can walk to 4 waterfront restaurants with a great selection of local seafood. 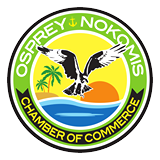 Great golf, shopping, grocery and produce markets, and many other restaurants are only a short distance away. Bikes, kayaks and paddleboards may be rented and delivered to your door. "We love watching the waves from our room and gathering with other guests on the beach or the balcony at sunset and toasting to another perfect day spent at our beach paradise - the Island House!" "I went to the Island house with my daughter in Feb. It was so great! I had a great time and so did my daughter. Out in the water with the other lady guest was a fun time, getting to know everyone and..."
"This a wonderful place! It is an older, nostalgic building that has been wonderfully updated! Right on a beautiful beach and close to some great restaurants. I was a little worried about sleeping on a..."
"Spent a week at Island House with my sister from Iowa to celebrate her retirement Jan. 2017 and loved it so much we are coming back in Dec. 2017 for my retirement celebration! So relaxing and the location..."
"This is the perfect place to do nothing. My life is hectic and i rarely have the time to just relax. Kicking back with a good book on the balcony overlooking the gulf is just what the doctor ordered..."